i miss my castle. damn that was a long time ago. 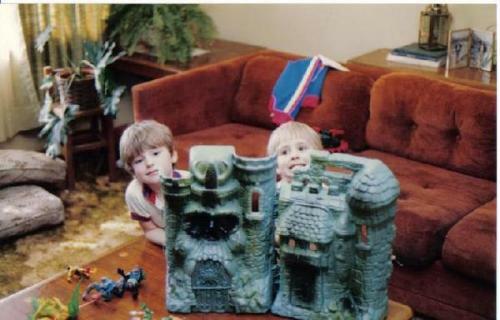 I used to have my G.I.Joe commandos storm Castle Grey Skull and Snake Mountain. Awesomeness. I still have this thing in my parents attic.. Unless they sold it at a yard sale for a nickle. Damnit. According to online priceguides, a Castle Grayskull in box is worth $125, and a loose one is worth $40.